At Northland Dental Centre, we use digital x-rays. Digital x-rays offer patients a safer mode of obtaining images needed for diagnosing dental problems. 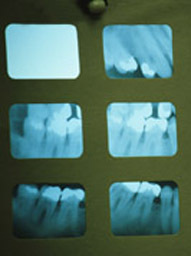 With digital radiography, radiation emitted is approximately 90% less than conventional dental x-rays. A limited number of dental x-rays have been proven to be extremely safe. Our office has your total health interests at heart.